Choosing the right dentist for you and your family is one of life’s most important decisions. At Famous Hollywood Dental Care, we’re ready to give you and your family the quality dental care you deserve. Now that movie-star smile you’ve always wanted can be as close as your mirror. 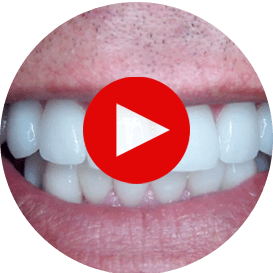 Dr. Fariba Kalantari can perfect your smile through porcelain restorations, porcelain veneers, teeth whitening (Zoom whitening), dental implants and other state-of-the-art treatments. We also offer dentistry for children. Though there are many reasons Famous Hollywood Dental Care has been around for 40 years in the heart of Hollywood, CA, near Bevelry Hills and Studio City, the most important one is that our happy patients make up a cast of thousands. Many of the nicest smiles you see around the Hollywood area belong to our patients. It takes exceptional care and outstanding results to win the hearts of so many. And that’s exactly what we deliver. We believe in pampering our patients, and we treat them like friends and family. In fact, there’s practically nothing that we wouldn’t do for our patients. We know that some people are afraid of the dentist and many people avoid the dentist because they think treatment will be painful. That’s why we practice sedation dentistry. With sedation, you feel no discomfort and you can have even complex reconstruction performed while you relax comfortably. When you’re ready to change your smile and your life for the better, contact Fariba Kalantari, DDS, at Famous Hollywood Dental Care by calling 323.461.4676 from Beverly Hills, CA, Los Feliz, CA, Studio City, CA, Larchmont, CA and Hollywood, CA in Los Angeles County, or use our convenient Request an Appointment form. I cannot begin to express my appreciation for the entire staff at this office. Everyone feels like family! The attention and care of Dr. Kalantari and every member of this wonderful office has truly renewed my passion for my own dental health! Friday: 9:00am - 1:00pm for Scheduling Appointments only. At Famous Hollywood Dental Care, Fariba Kalantari, DDS, and her friendly, professional staff provide high-quality general family dentistry, cosmetic dentistry, implant dentistry and sedation dentistry. Dr. Kalantari’s services include general dentistry (oral cancer screenings, x-rays, scaling, root planning), cosmetic dentistry (veneers, bonding, whitening), sedation dentistry, dental implants, crowns and fixed bridges. Famous Hollywood Dental Care serves the communities of West Los Angeles and The Valley including Hollywood, Hollywood Hills, Downtown Los Angeles, Santa Monica, Beverly Hills, Glendale, Burbank, Larchmont and Calabasas. Copyright © 2019 Practice Builders and Famous Hollywood Dental Care. All rights reserved.